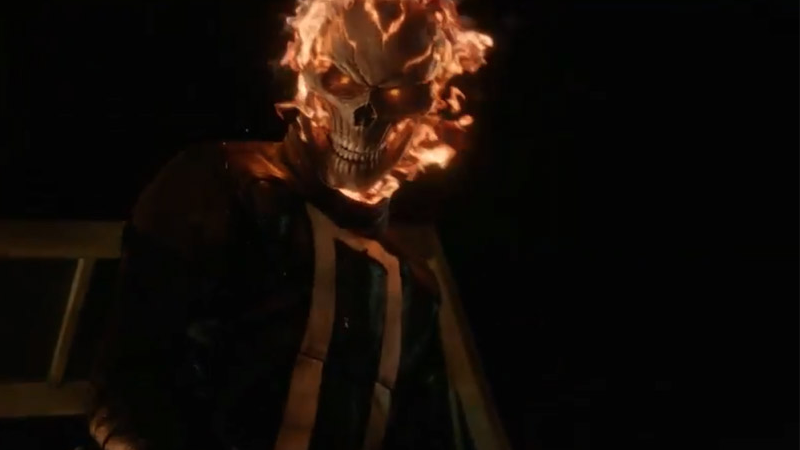 From the outside looking in, it seems like the relationship between Marvel’s TV output and its movies is more distant than ever—but at least one character developed for Marvel TV could be making the jump to the movies in the future, or even to Netflix for his own: Agents of SHIELD’s Ghost Rider. I don’t have a preference. People talk about ‘Ah man he’d be great as a feature,’ which is [an] idea too... It could be in the cinema, it could live on Netflix, whatever it is. It’s been talked about, there’s definitely deals in place for that potential. But I just take it one day at a time. I have so much fun now I just want to make sure I get these episodes right. If they throw more episodes on my plate, I will do my best to do well with those stories as well. To be fair, it shouldn’t be too surprising that Marvel has plans for the character that could grow beyond him being a major factor on Agents of SHIELD this season—especially as reaction to Robbie Reyes has been pretty damn solid. Marvel is a master of always having a plan to grow its loosely-connected live-action universe. But even then, after months of being told from all corners of the Marvel universe that the odds of TV characters being included in the movies aren’t really favorable, it’s refreshing to hear the opposite. Although honestly, Ghost Rider probably fits way more into the Netflix world of Punisher, Daredevil, et al than he does Marvel’s moviescape at the moment. Let’s hope there’s a bright future for Robbie Reyes after the end of Agents of SHIELD season four.